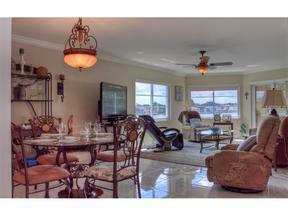 You will love this corner unit with gorgeous Intracoastal and harbor views. King Bed in Master and Full size in Guest bedroom. Siesta Harbor is surrounded by the Intracoastal Waterway with boat harbor and deeded boat slips. Boat slips can be leased for a nominal fee. This 55+ community is ideal for your winter vacation with easy access on and off Siesta Key. Just a 1/4 mile from the Stickney Point bridge, shopping and restaurants are within easy walking distance. Beach access is directly across the street. Siesta Harbor offers a community pool and spa, numerous activities, including a fishing club and social events in the clubhouse. High season rates in effect January through April. Rented January, February, March 2019.